Andorra is a country in the north of Spain. It snows very much and it is cold. 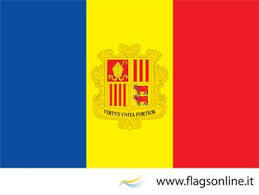 The flag of Andorra is blue, yellow and red. Patotes and grapes are from Andorra.